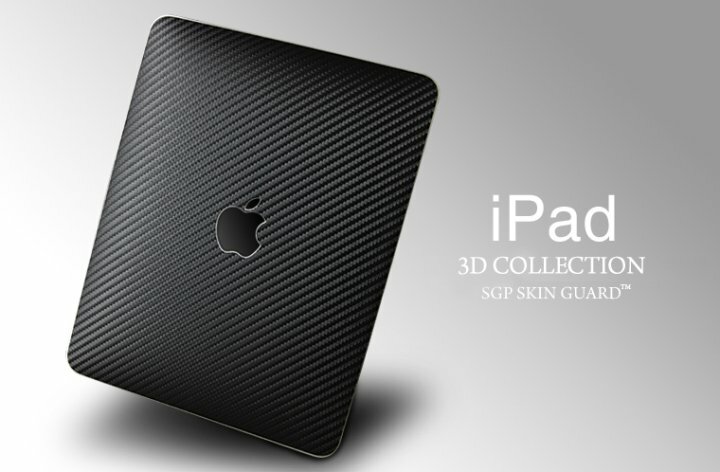 SGP's Premium Protective Cover Skin Carbon for Apple iPad provides stylish protection for the iPad. This removable stick-on cover attaches with a silicone adhesive and provides iPad WiFi and 3G with a unique textured look and feel. The iPad is fully dockable and ready for use with the Apple's iPad Case while the cover skin is in use. This SGP cover is an eco-friendly product with no harmful substances. It comes with an iPad cover skin and an Apple logo protection film. For International Shipping or shipping other than USPS Priority Mail, please contact sales at sales@everythinghereplus.com with billing/shipping addresses, items wanted, and the type of shipping desired. After calculating a total, we'll send you an invoice using Google Checkout's Email Invoice. Shop with confidence, Google Checkout is safe and secure. See what other people are saying about EverythingHerePlus.com's products and service. Please email us for more details or with any questions. You can also check out our site chat feature. All specifications and prices subject to change without notice. All trademarks and trade names referenced are properties of their respective owners. © Copyright 2010 United SGP Corp. and EverythingHerePlus.com, all rights reserved. Reproduced with permission.